Memorial services for Mr. Billy Joe Kilgore, 90, of Cullman are Sunday, March 3, 2019 at 2 p.m. at Cullman Funeral Home, Rev. Wade Maynard officiating. 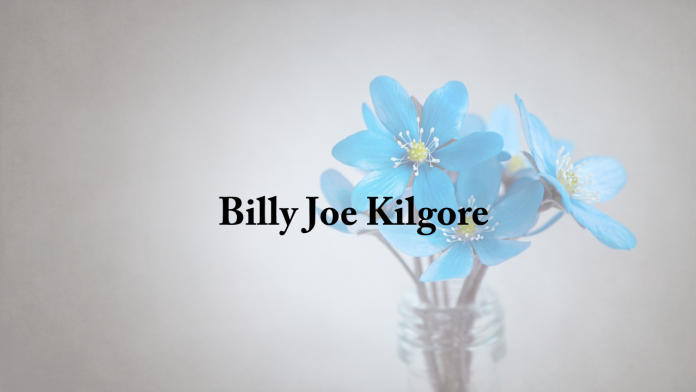 Mr. Kilgore passed away on Thursday, Feb. 28, 2019. He was born and raised in Alabama. After a stint in the Air Force, Billy started a career in north Alabama supporting NASA programs including the Voyager probe to Mars and the Space Shuttle program. He retired in 1994 from Rockwell International. He is survived by his wife, Rebecca Glover Kilgore; sons, Brent Kilgore and Clark (Sherry) Kilgore; grandchildren, Brig Kilgore, Faith Kilgore, Tanner Cooper and Dillon Cooper; brother, Andy Kilgore and sister-in-law, Helen Kilgore. He was preceded in death by his parents, Thomas Burdette Kilgore and Mary Sims Kilgore; sister, Tommie Naramore and brother, Truman Kilgore.